Almost everyone has seen a beautiful Orchid at some point in their life, but have you seen Orchids that look like animals? Becoming more common with every passing day, you can pick one up at a local flower shop, home improvement store, or even a grocery store. Orchids have quickly become one of the most sought after flowers to grow at home. What most people don’t know is that Orchids are actually one of the largest groups of species in the world. There are over 20,000 species of Orchids recognized by biologists. 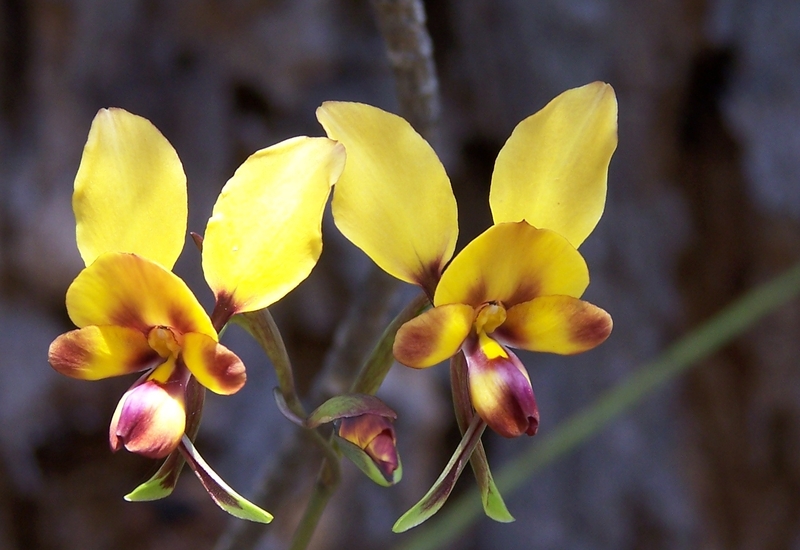 To put that into perspective, there are four times more Orchid species on earth than mammal species. 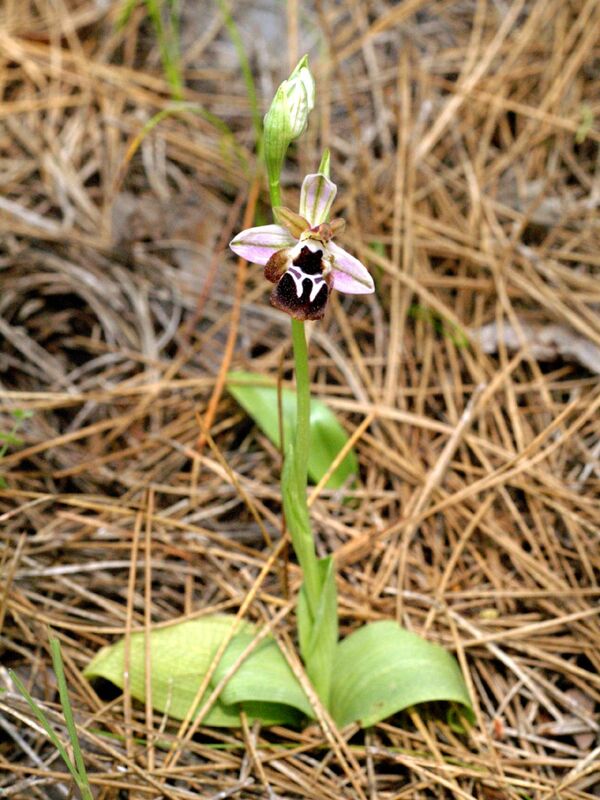 Each species varies so greatly that Orchids can be found on every continent. 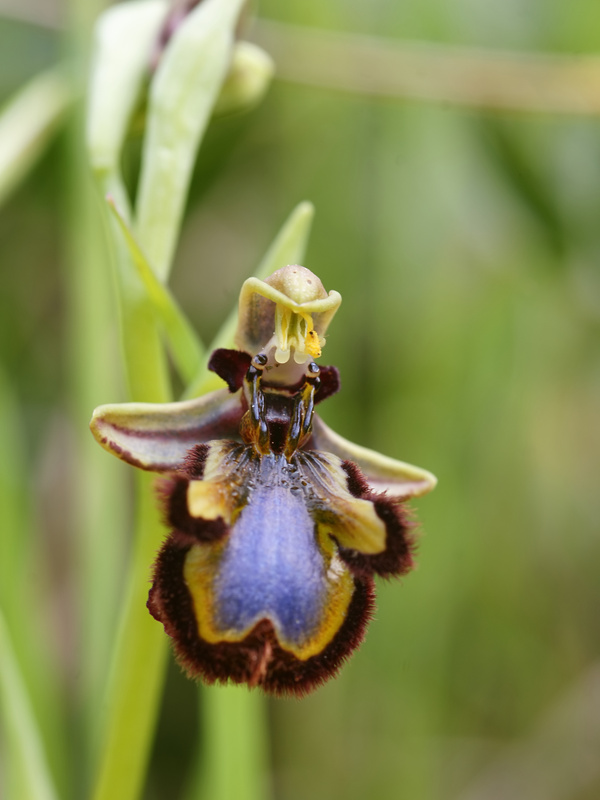 Orchids are so adaptive that they use their flowers to attract pollinators or scare away predators. 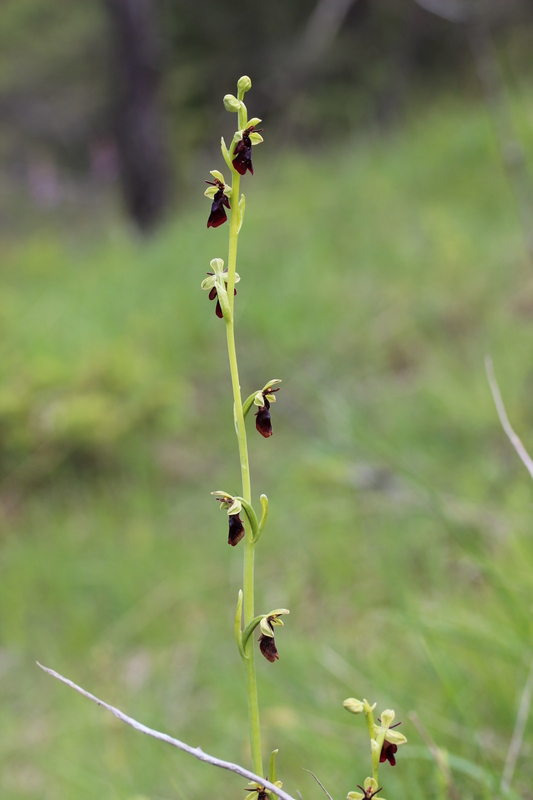 Fly Orchids, one of the most convincing Orchids that look like animals, entice predators to attack so that they can transfer pollen to the next Orchid. Bee Orchids are designed to look and smell like a female bee to attract male bees. 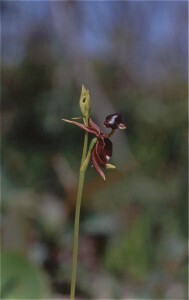 Orchids growing in the wild are extremely good at attracting their individual pollinators. 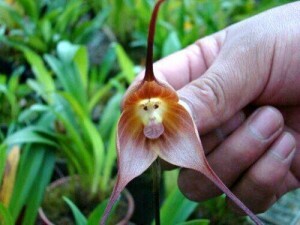 One of the most popular of these flowers are the Orchids that look like monkeys. Monkey Orchids are native to the mountains of Ecuador. They are accustomed to cooler temperatures and enjoy larger amounts of humidity. There are over 120 species of Monkey Orchids, all found in this same mountainous region. They display 1 flower per stem that most people agree look like monkeys. 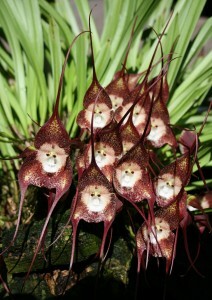 These Orchids that look like monkeys can flower at any time during the year. These Orchids are one of the most iconic Orchids that look like animals, yet one of the most endangered. They grow between 1-8 flowers that can reach a little more than an inch wide. White Egret Orchids are one of the showiest flowers on earth. 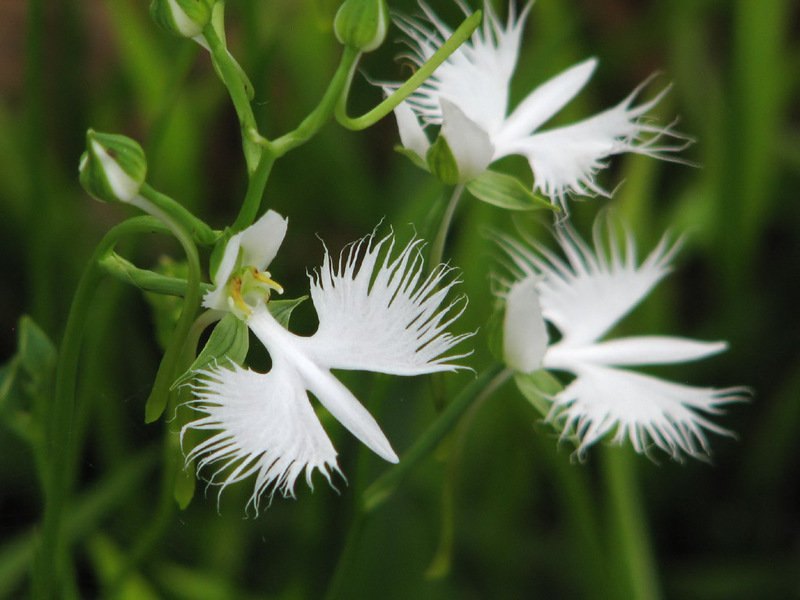 White Egret Orchids are extremely easy to propagate and are one of the only Orchid species that prefer full sun. They need a bog-like environment and a dormant winter period in order to survive. 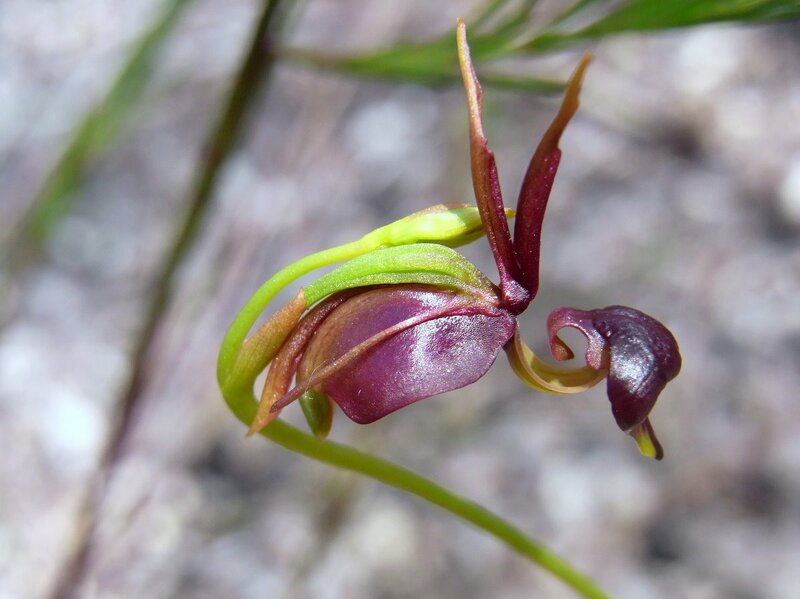 This Orchid is extremely deceptive in the way it pollinates itself. It is designed to look and smell like a female bee, which attracts the male bees to come over and get covered in pollen. The bee then moves onto the next fake bee, transferring the pollen. 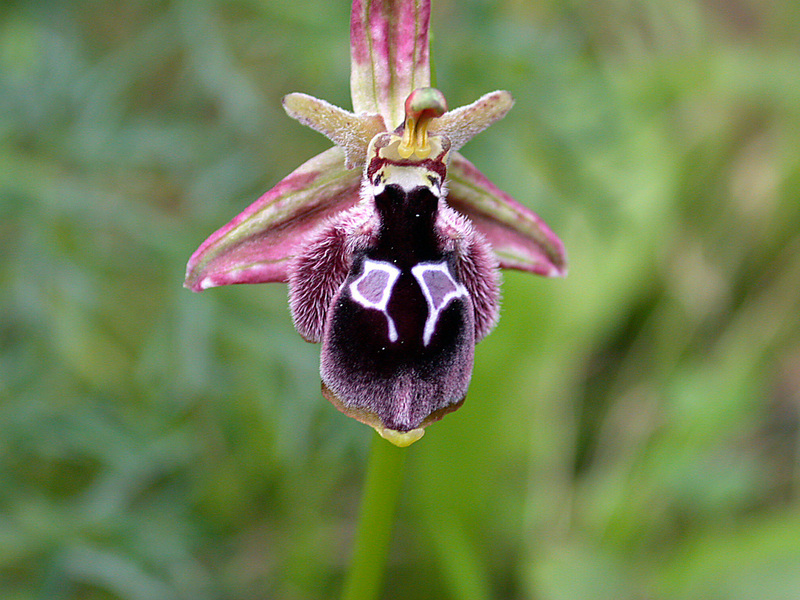 The Bee Orchid spikes produce 1-12 flowers between April and July. They are plentiful in dry areas of Europe and spread rapidly, but don’t always appear every year. In the wild, it has been observed that they tend to bloom one year and then stay dormant for many years before blooming again. 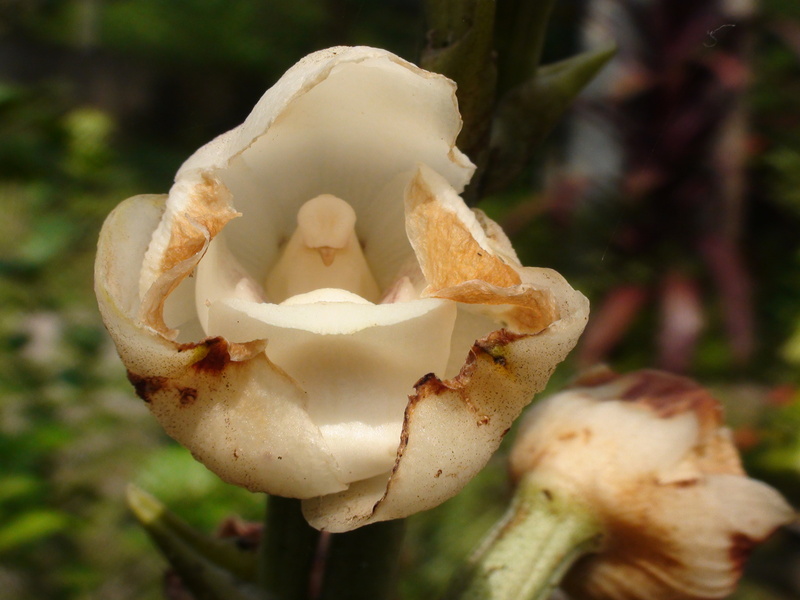 These Orchids sport a flower that looks like they have a hand-carved dove sitting in the middle. At first glance, most people see these and think that they are carved into the flower and do not believe they are real. 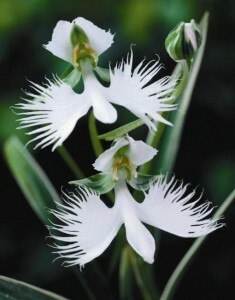 The white flower is produced at the base of the plant, with each psuedobulb producing 4 – 12 flowers. 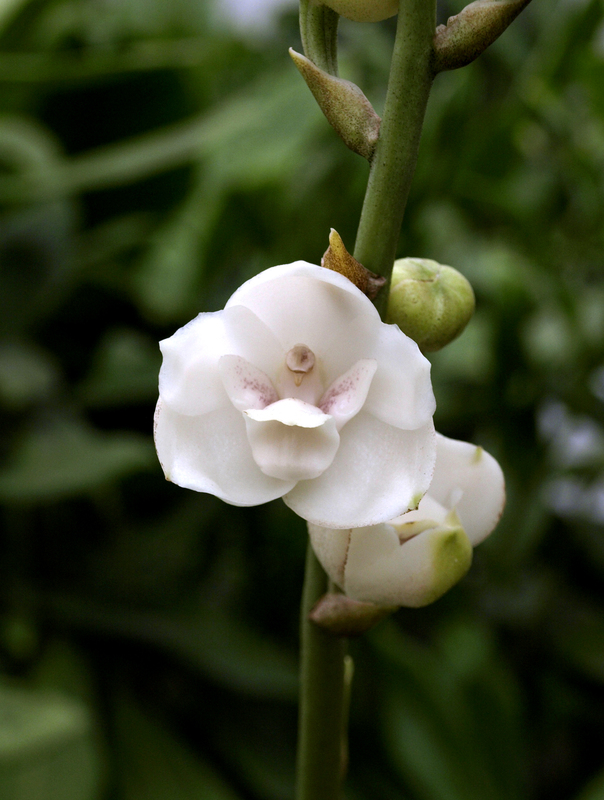 Dove Orchids are in great danger of becoming extinct due to poachers collecting them and selling them for profit. They are protected under the laws that cover endangered species and are currently the national flower of the Republic of Panama. This is one of the most unique flowers in the world because of the flower it produces. The blossom looks like a duck flying through the air on a green spike. 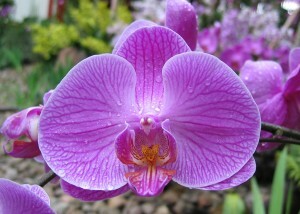 Each spike grows 2-4 flowers and the whole Orchid can grow up to 5 inches across. The unique shape attracts insects to pollinate the flower. These flowers are extremely small and not very noticeable when they are growing in the wild. 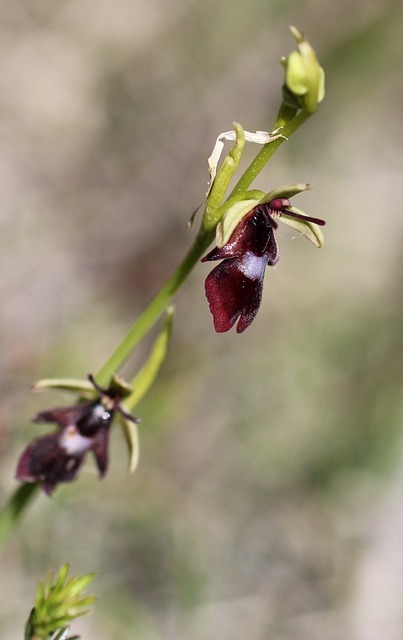 The Donkey Orchid gets its name from the 2 lateral petals that protrude from the flower, giving it the appearance of a donkey. Of all the Orchids that look like animals, this one is the easiest to pick out of the forest because of its larger size. 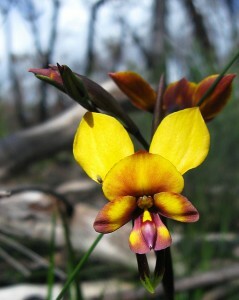 They are native to Australia and Tasmania, which provide the warm climates necessary to live. Donkey Orchids attract local bees by mimicking other local flowers and tricking the bees into pollinating the flowers. This Orchid grows at low elevations and needs cool temperatures mixed into its growing cycle. They bloom in the spring and produce a flower that many people believe looks like a goat. The small stems that protrude from the top of the flower are said to look like goal horns, influencing the nickname. 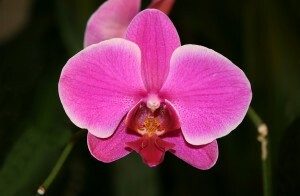 The Moth Orchid is one of the most common Orchids that look like animals. They look like moths in flight, while also looking like a bird head from up close hence they are also frequently called a Bird Head Orchid. Many people believe that the bird head is there to protect the nectar from certain insects. Many people don’t notice that it looks like a bird head until they see pictures of the flower close-up. This is one of the ugliest looking Orchids that look like animals in my opinion! 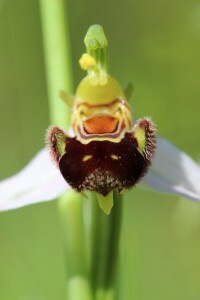 They are designed to look like a female fly and, much like the Bee Orchid, attract the male equivalent. 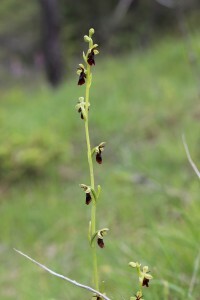 The male bumps into the flower and gets dusted with pollen to bring to the next Fly Orchid. The flower is also scented to mimic the scent of the female fly’s sexual pheromones. These grow best in alkaline soil and need cooler climates to survive. 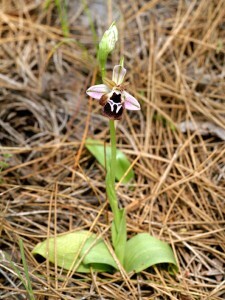 The flowers blend in so well that they are barely noticeable when this Orchid is growing in the wild.